For those that do hard work that requires breaking a sweat, John Deere Gator crossover utility vehicles are designed specifically to work as tough and play as hard as its operator. 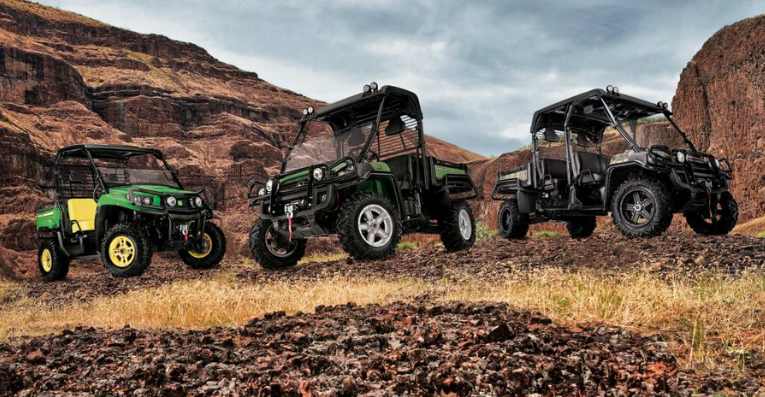 Over terrain rough or smooth, Gator XUVs are prepared to take drivers anywhere they need to go, conquering obstacles with ease. 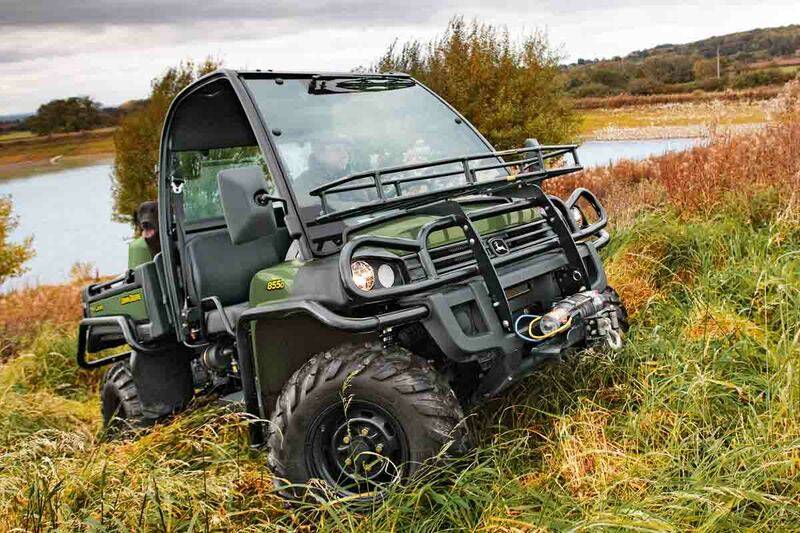 Let’s take a look at the complete line of John Deere crossover utility vehicles, and some features of each that make them unique models for different situations. This is the base model for Deere’s crossover utility vehicles. Available in camo, green & yellow, or olive & black, the 625i includes an extra-durable cargo box to ensure hard-working performance and longevity. Duel A-arm front and rear suspension gives the operator a smoother ride over even the most challenging terrain. The XUV 825i comes in a power steering and four-seat model for additional room for friends. With a 50 HP engine, the 825i can reach 44 MPH, providing a thrill for the operator. 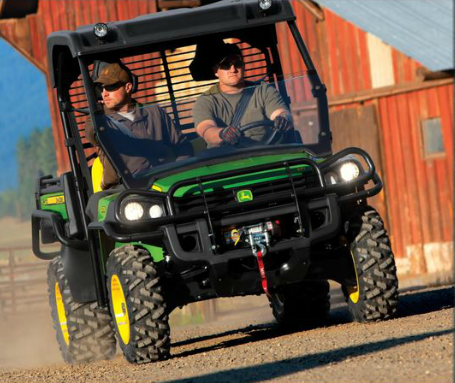 This is Deere’s fastest, most powerful four-seat model, making it a favorite among customers. This is one of Deere’s toughest Gators. The XUV 855D comes with a diesel engine with a top speed of 32 MPH and is available in a power steering and four-seat model. 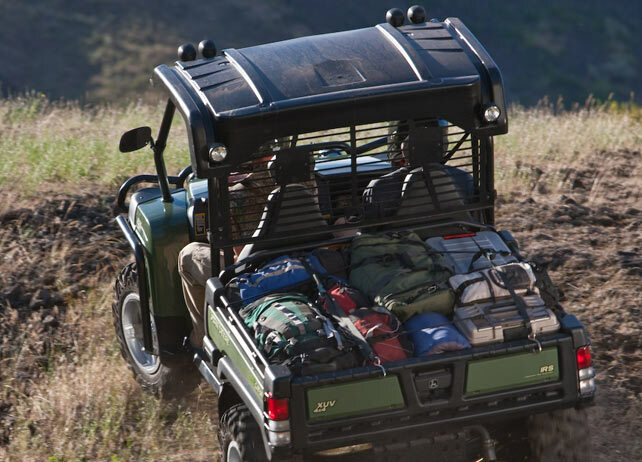 These vehicles have power and payload capacity to spare as the back seat of the four-seat model can flip down for up to 200 lbs. of additional storage capacity. The XUV 550 is for customers looking for a cross over utility vehicle designed for comfort, performance, customization, and 4WD, for a lower price. 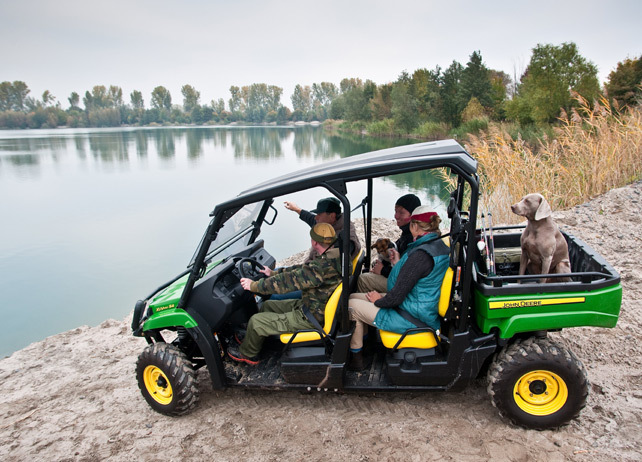 Also available in a four-seat model, the 550 comes equipped with a V-twin engine, four-wheel suspension, and availability of more than 75 attachments, making it one of the most versatile Gators on the market. John Deere crossover utility vehicles are prepared to take on any terrain, rough or smooth, with varying models designed for taking on any task. If you enjoyed this post or want to read others, feel free to connect with us on Facebook or Google+!